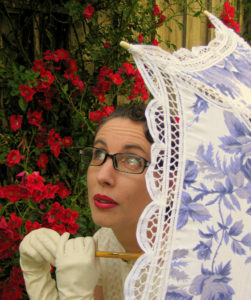 Gail Carriger writes steampunk comedies of manners mixed with urban fantasy and romance. Her books include the Parasol Protectorate, Custard Protocol, and Delightfully Deadly series for adults, and the Finishing School series for young adults. She is published in 18 different languages and has 13 NYT bestsellers via 7 different lists (including #1 in Manga). She was once an archaeologist and is overly fond of shoes, octopuses, and tea. Karen Burnham is an electromagnetics engineer who has worked on a variety of projects, including NASA’s Orion spaceship and Sierra Nevada’s Dream Chaser space plane. She has a Bachelor’s degree in Physics and a Master’s degree in Electrical Engineering. She started out working on radar signal processing in Southern California, then moved to Texas to work at NASA’s Johnson Space Center on the power system of the International Space Station and pyrotechnic systems for a variety of spacecraft. At that point she began specializing in Electromagnetic Compatibility (EMC) engineering. She next moved to Colorado to be the lead EMC engineer for Dream Chaser, so far the coolest job she’s ever had (even cooler that studying what kind of electrical interference sets off pyrotechnic devices). When Dream Chaser lost out on a NASA contract she moved to Maryland to work on radar systems and most recently she has made an industry switch and moved to Michigan to be an EMC engineer for Ford Motor Company. Along the way she realized that focusing on STEM alone didn’t feel balanced so she decided to get more out of her reading by writing about it. 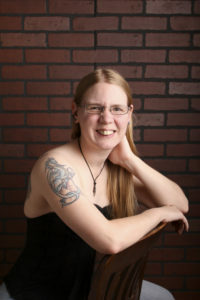 After meeting Charles Brown and Gary K. Wolfe of Locus Magazine at the 2006 WorldCon in Los Angeles she focused on becoming a serious reviewer of speculative fiction. She spent a lot of time educating herself about the history of sf and started publishing her reviews in venues such as SFSignal.com, Strange Horizons, Locus, NYRSF, and Cascadia Subduction Zone. She attended the SFF Masterclass in England in 2008, and has been invited to teach at the Masterclass in the future. In 2014 her book on the work of Greg Egan came out from the University of Illinois Press as part of their Modern Masters of Science Fiction series. She recently signed a contract to write another volume for the series on Neal Stephenson. She has been nominated for two British Science Fiction Awards for Best Non-Fiction, first for her essay “The Complexity of the Humble Spacesuit” in 2012 and later for Greg Egan. Along the way, Karen married an amazing person, Curtis Potterveld, a senior systems engineer at Boeing. They have two children, two and five, who both love books. They have all been amazingly flexible during the frequent moves over the last few years. They currently live with their dog in Farmington Hills, Michigan. 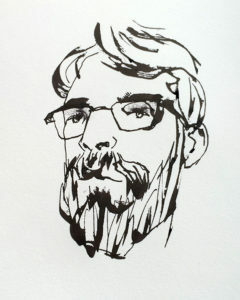 Jeffrey Alan Love is an award-winning artist and writer whose clients have included The New York Times, TIME, The New Yorker, Scholastic, HarperCollins,Tor, Gollancz, and others. Nominated for the World Fantasy Award, the Chesley Award, the British Science Fiction Award, and the Spectrum Fantastic Art Award, he has won a gold medal from the Society of Illustrators and two Academy of British Cover Design Awards. Born in South Carolina, he has lived in Germany, Texas, North Carolina, Nebraska, South Korea, Hawaii, Colorado, Florida, Pennsylvania, Virginia, Tennessee, California, and Missouri. His first book, NOTES FROM THE SHADOWED CITY, will be out September 2016 from Flesk Publications. 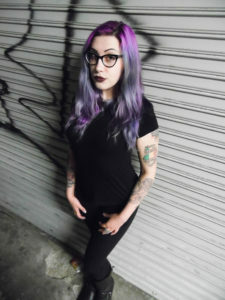 Mallory O’Meara is a screenwriter and producer for Dark Dunes Productions. Alongside other projects in development, she is currently producing the feature film Yamasong: March of the Hollows. She lives in Los Angeles and is at work on her first book. What if you could re-live the experience of reading a book (or watching a show) for the first time? Mark Oshiro provides just such a thing on a daily basis on Mark Reads and Mark Watches, where he chronicles his unspoiled journey through various television and book series. Since 2009, Mark has been subjecting himself to the emotional journey that one takes when they enter a fictional world for the first time. He mixes textual analysis, confessional blogging, and humor to analyze fiction that usually makes him cry and yell on camera. All of this earned Mark a Hugo nomination in the Fan Writer category in 2013 and 2014, and he has no plans on stopping. 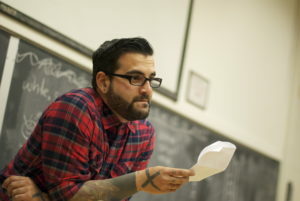 He was the nonfiction editor of Queers Destroy Science Fiction! and the co-editor of Speculative Fiction 2015. He is the President of Con or Bust, a non-profit that helps fans of color attend SFF conventions. And his first novel, a YA sci-fi book set in a pre-dystopian world, is being edited, and his life goal is to pet every dog in the world.